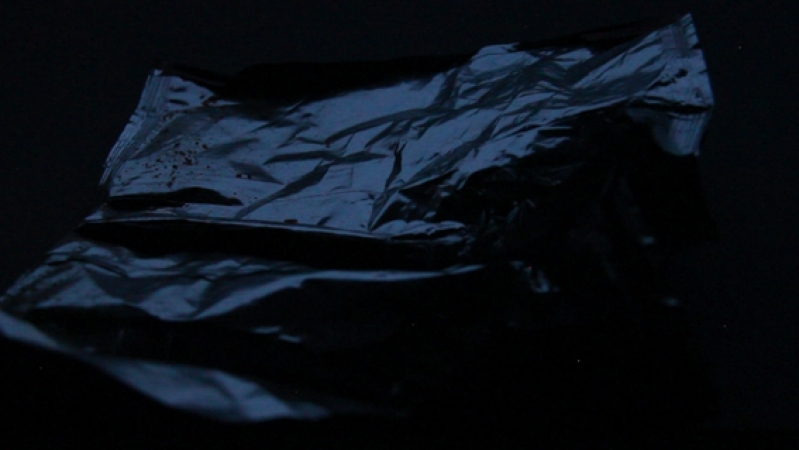 A bag of crisps is filmed during the morning dusk. The video starts when it is dark. I darken the space in proportion as it is getting lighter, so that the same amount of light is held. It is an attempt to keep the dusk continuing as metaphor for an impossible longing to eternity. Within the failure of this aim, we see a bag of crisps as we has never seen before.